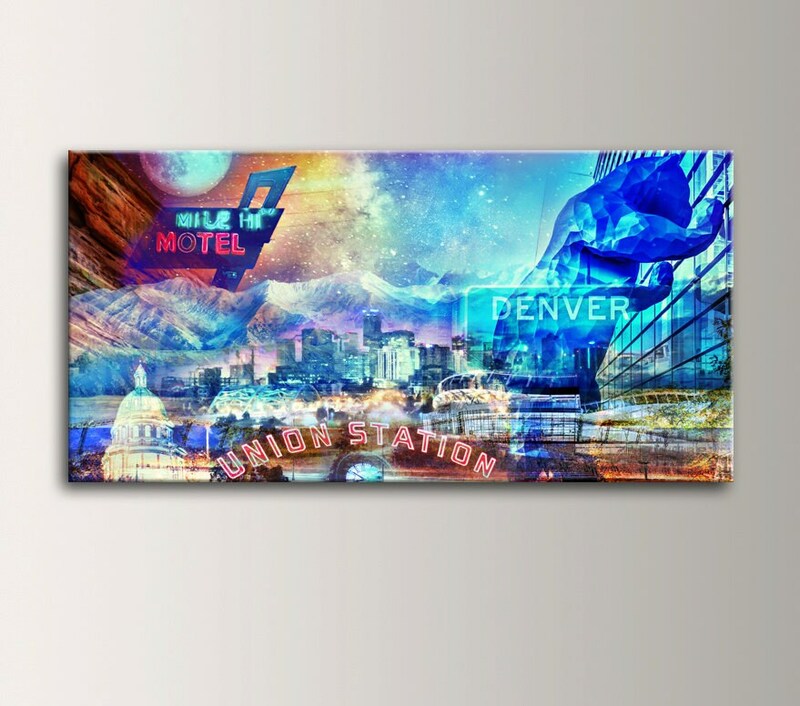 Denver Colorado Art Collage Skyline Cityscape Rocky Mountains Canvas Wall Art Urban Art Art Modern Wall Decor "Mile High City"
Celebrate Denver, The Mile High City in style! 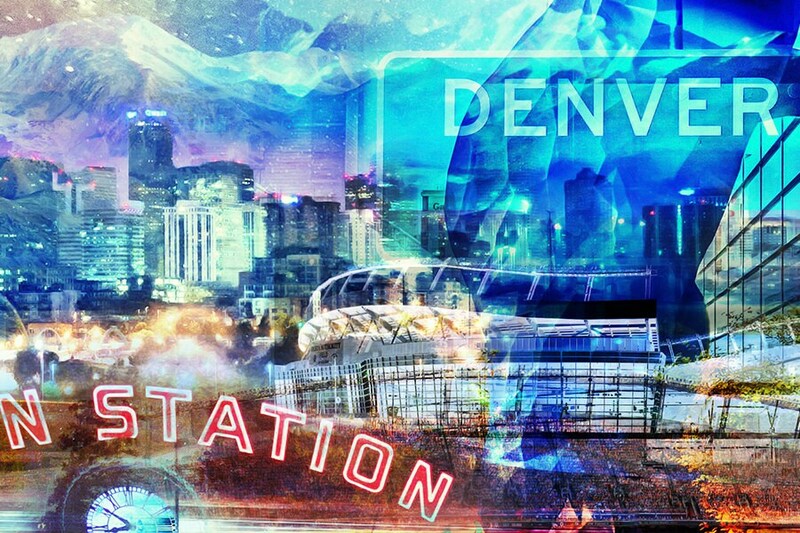 Look closely and you will see your favorite landmarks and hot spots such as Red Rocks, the Blue Bear, Broncos Stadium, Union Station and more! 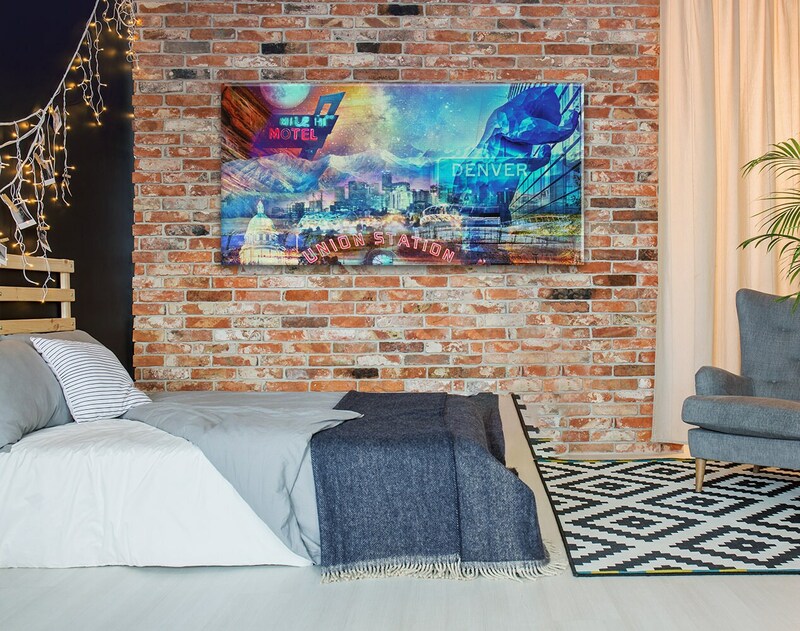 This hand stretched, museum quality canvas arrives ready to hang on deep, 1.5" stretcher bars. in your favorite spot. Available in many sizes or custom. 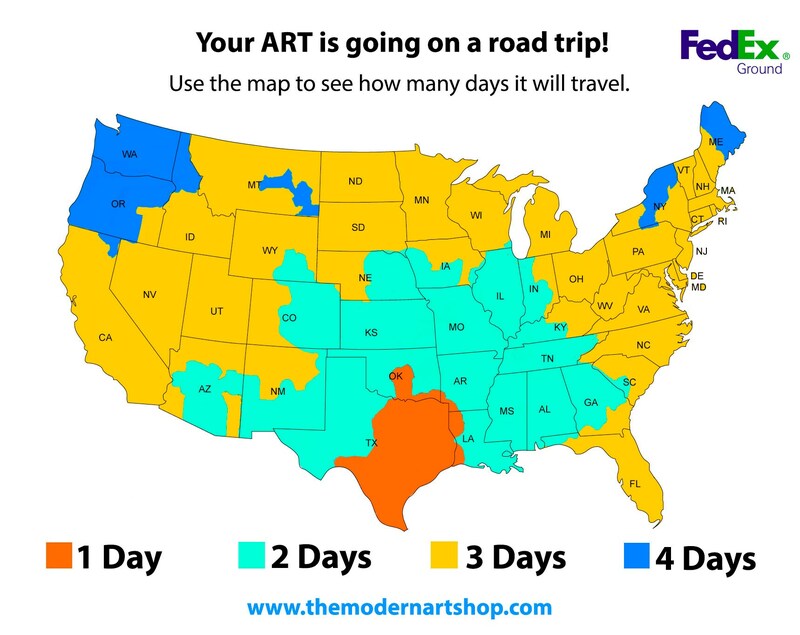 Only available at The Modern Art Shop. 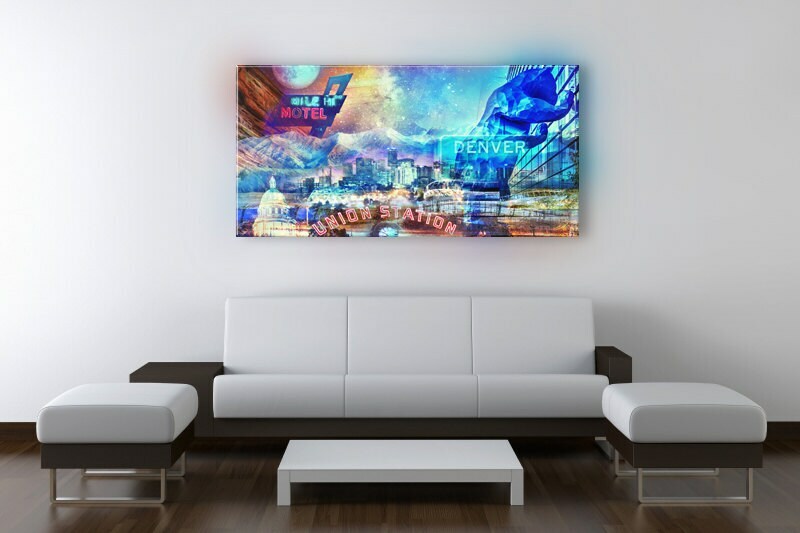 Looks great in our Loft office space in LoDo! Thanks! I absolutely LOVE this piece. It came carefully packaged and delivered quickly in time before the holidays. 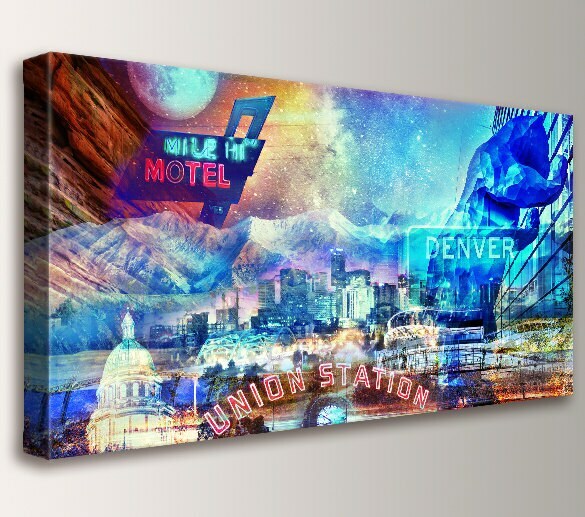 The colors are vibrate and this canvas captures everything beautiful about CO. Thank you again! !